Ogrons have a lot of hate stored in them. 9:05 Most people don’t know this but Alcatraz is actually derived from Al Katraz, the famous Arabic poet known for mastering the haiku. One of his most famous poems: Raped by the inmates, and then beaten by the guards, then raped by the guards. 21:30 I never knew The Mask was based on a comic. Then again I never knew real life was based on a comic, so yeah. 21:45 No, he is. Nah I’m just messing with you, he’s not. Jim’s been calling it Trust Your Baker. Unbeknownst to him, that’s our next podcast. We’ll be talking about baking. Yep we’re finally here. It’s been 6 or so weeks (probably, we lost track quite a while ago) since we first announced this, and it’s here. We’ve had a few stumbles along the way, but it’s really rather fun. So join us (Kiyan, Dylan, Jim and Martin) in looking back at Tom’s run as the Doctor. 1:09 You can find that episode here. Just saying. 5:55 For anyone who doesn’t know much about Mary Whitehouse (like us), here’s her Wiki article. 6:58 Target was a 1977 cop drama that was apparently criticized for its over the top violence. In addition to Hinchcliffe, a bunch of other people who worked on Doctor Who were involved. Pretty cool intro though, am I right? 1:33:11 Find Kyrnoid Podcast at all their various outlets with this convenient links page. We’re now courting founds for our Baywatch remake in the vein of Gnomeo and Juliet. This week Kiyan and Dylan take a nice little stroll down into some random village in the middle of the nowhere. They were getting a bit tired of The Doctor’s antics and decided to follow Sarah Jane and K9 for a week. In this very special episode of Trust Your Doctor, we cover the pilot (and only aired episode) of K9 & Company, written by Terrance Dudley and aired on the 28th of December 1981. 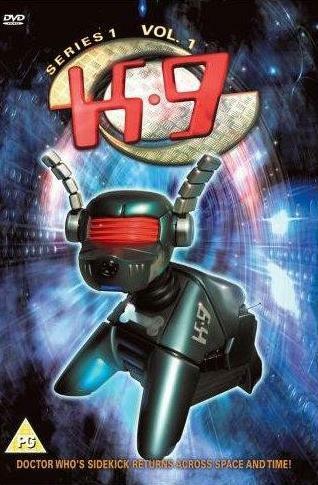 1:54 The Australian K9 TV series is just called K9. It was the first Doctor Who-related series with which the BBC wasn’t involved. Bob Baker was involved though. It also features a horrific new redesign for K9! 5:31 Apparently Hecate/Hekate was a Greek goddess of witchcraft, necromancy, and other sketch things. 13:00 Other robotic dogs include Poo-Chi and Spot. Warning: the second link contains cruelty toward robots, which we don’t condone. Stop kicking robots! 28:13 O Levels, or Ordinary Levels, are a now-defunct (in the UK) section of high school level classes. Apparently they’re less difficult than higher levels of classes, like the A Levels. 30:30 K9: Timequake is a movie written by Bob Baker and set to release for K9’s 40th anniversary in 2017. It features K9 (duh) and… Omega? Yes, Omega. Yes, really. This is really real. Really. 45:50 Like we’ve mentioned about 100 times now, we’ll be doing a Fourth Doctor era retrospective next week in place of our usual episode, and it’ll feature Jim and Martin from Krynoid Podcast. You can find their show at all the links on this page. 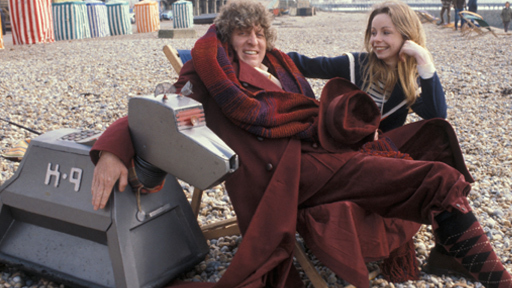 The K9 & Company title music was originally composed by Ian Levine. The version used in this episode was arranged by Peter Howell. We flipped a coin to decide this title. This week Kiyan and Dylan record in a white featureless room. It might be a padded room, we’re not really sure anymore. There’s a gate here somewhere. A Warrior’s Gate, written by Steve Gallagher and aired in January of 1981. 8:31 Several Dragon Ball Z characters train in the Hyperbolic Time Chamber, another single-gated, featureless plane that you wouldn’t want to get lost in. 9:43 The Infinite Featureless Plane of Death is, unsurprisingly, an infinite featureless plane from the surprisingly-regular Irregular Webcomic. Here are some strips that feature (get it?) the Plane. 19:13 Two-Face is a Batman villain who decides things based on the flip of a coin. Kind of like how we make all the decisions for this podcast. Ok, not really. Maybe. 19:59 Daredevil is a Marvel character who lost his sight in a freak accident. In exchange, all his other senses are hilariously overpowered. 32:00 Carl Sagan was a scientist and the host and co-writer of Cosmos: A Personal Voyage. 44:57 Richard Dawkins is another scientist and a strong opponent of creationism. 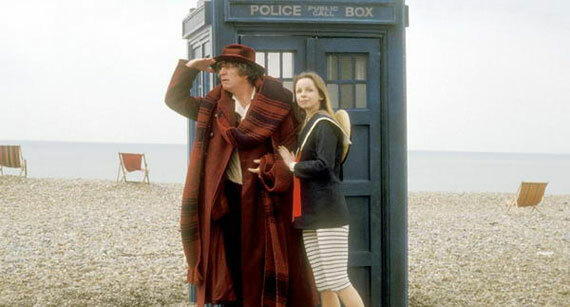 He and Lalla Ward got married in 1992. 46:46 Here’s costume designer June Hudson’s design archive if you’re interested. 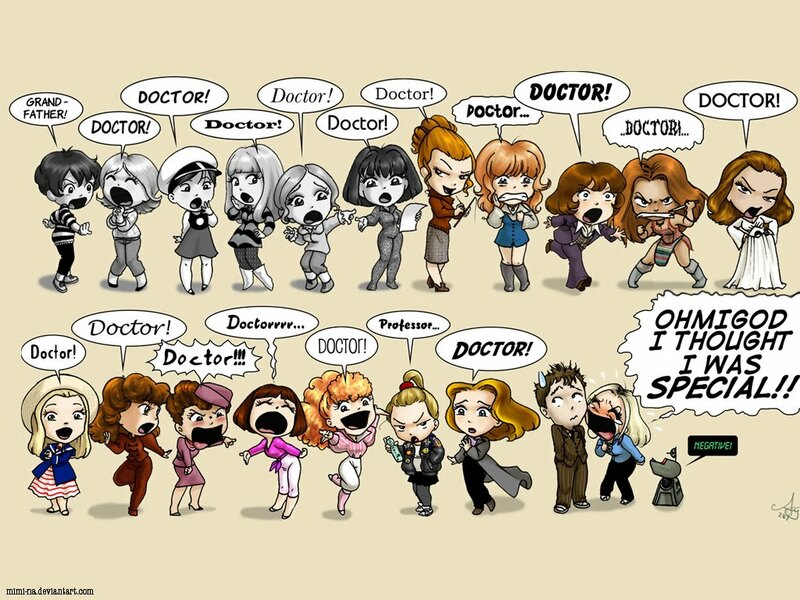 Here are her recent designs, which include more contemporary Doctor Who characters. 49:48 Our Fourth Doctor retrospective will be a collaboration with Jim and Martin of Krynoid Podcast! Links to their various outlets here. This week Kiyan and Dylan do not make it to Gallifrey yet, however much this title may imply that they did. Instead they fail to even leave E-Space. It’s the second story of the E-Space trilogy this week, State of Decay. It was written by Terrance Dicks and aired in November and December of 1980. 10:02 Purple was traditionally associated with nobility in a number of ancient cultures (and still is today). 15:16 You’ve probably already seen the new Star Wars trailer, but go ahead and watch it again. Or watch it for the first time if you haven’t seen it. It was pretty good. Or not. I dunno. 27:29 Punch cards were used to program computers and to store information back in the stone age. We’ve never seen the Doctor use his before and we’ll probably never see it again. 31:20 Here’s a pretty extensive list of vampire weaknesses from various mythologies and media (including Count Chocula). Just uh. Don’t mind me. Just a cactus. Nothing more. This week Kiyan and Dylan record a new episode, and specifically ensure that there are no cacti in the room. No guarantees about Eucalyptus though. It’s Meglos, written byJohn Flanagan and Andrew McCulloch. It aired in September and October of 1980. We dedicate this episode to Adrienne Corri. 00:28 The Cailleach is a Gaelic deity that appears in season 17’s The Stones of Blood. 07:27 Scene Sync was an advancement of CSO technology used only in this story. It allowed CSO shots to include moving backgrounds. A documentary about the technique, The Scene Sync Story, was included on the DVD release of Meglos. 19:00 Goosebumps is a children’s horror book series. The second book in the series, Stay Out of the Basement, features a sentient plant. 24:35 Eucalyptus is a native Australian tree that’s considered an invasive species in California. Read more about its invasive properties here. 28:54 Couldn’t find the specific documentary that detailed the Death Star’s inaccurate lasers, but here’s an article with a video that discussed the same thing! They say that she’s a myth around these parts. This week Kiyan and Dylan reach into the 1980s for real. By which I mean, everything takes a turn for the synth. Yes, the title theme is synth, the visuals look totally 80s, and everything is in a new decade. It’s The Leisure Hive, written by David Fisher and aired in August and September of 1980. 00:55 We use a piece of the Peter Howell’s theme arrangement as our intro and outro. If you’d like to hear the full theme, it’s on YouTube here. 01:47 You can watch Sid Sutton’s title sequence for the 4th doctor on YouTube as well. 03:09 You can find Triple Play on this very website! 06:28 You can see the full image of Tom and Lalla that we used in the header here. In addition, here’s another promotional image for The Leisure Hive that better shows both of their costumes. 07:49 June Hudson has a rather comprehensive Wikipedia page. Her website contains a portfolio which includes her original concept drawing for Tom’s new costume. 08:30 Here is an image of Raymond Reddington. If you’re interested in the show (Dylan recommends it), you can get some more information on The Blacklist’s wikipedia page. 12:10 An image of The Namekians (From Dragon Ball Z). 12:28 A comparison image of the Argolans. 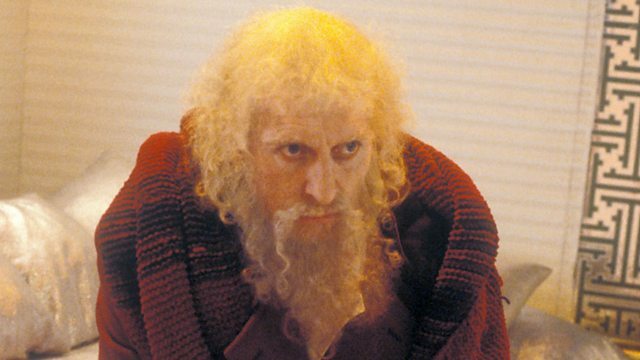 21:50 For reference, here is a screencap from this episode that shows The Fourth Doctor aged 500 years. 28:34 Tammany Hall was a corrupt political machine that basically ran most of New York in the early 20th century before losing influence when FDR got elected against their wishes. You can get a better overview at Wikipedia. 41:28 The Doctor Who site has an overview of all of the landings of Tom Yardley Jones’ new TARDIS. This week Kiyan and Dylan jump a time track and end up in a parallel universe where Shada was finished with some animation. Wait no, that’s this universe, sorry. Well listen in to Douglas Adams’ final script, which would have (presumably) aired in January through March of 1980.